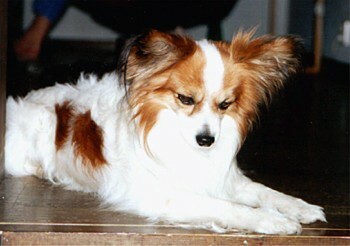 When Petra was 9 years old she fell in love with her first Papillon. She was very decisive. 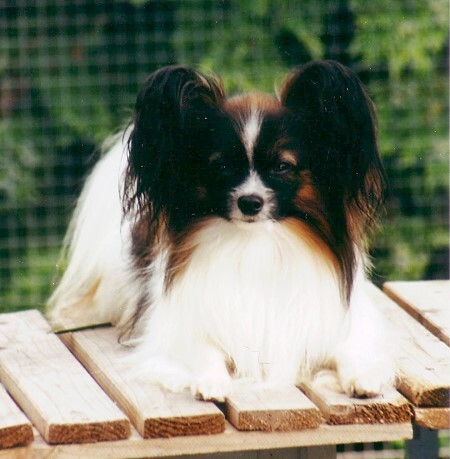 This was the kind of dog she wanted to have and she succeeded in convincing her reluctant parents .So she got her first papillon, a nice little alert and intelligent male called Ludde.At that time we never participated in any shows but gradually Petra started to be more and more interested. Her ambition was to be one fo the top breeders in Scandinavia some day. 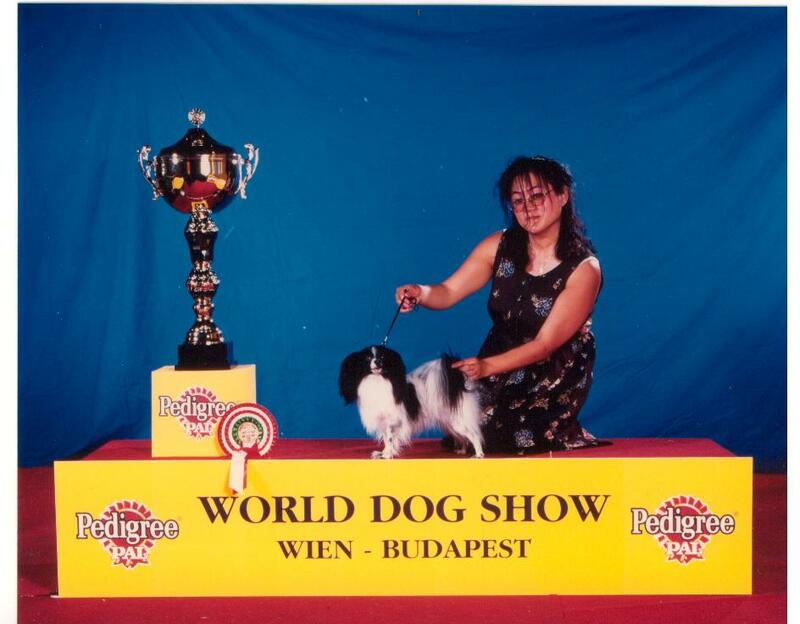 In 1990 Petra started Kennel Menines and had her first litter with Pepejas New Generation and La Roccas Feeling.This was a beautiful combination and from that litter she got multichamp Menines Adaniti and a Phalene Menines Avongara – a World Winner at the Dogshow in Vienna in 1996. MarieLouise and Gillis were fantastic and they taught Petra a lot about showing and breeding etc. Petra was not allowed to have any more litters until she had a home of her own..
was 8 weeks but when we saw him we just melted.He was adorable. He is now an elegant old gentleman who still wants to show himself and to be the center of the group. The combination Pepejas Master of Magic and Menines Basic Instinct was excellent and you can find offspring from them all over the world. We continue to develop our kennel and think it is important that people know that getting a Menines dog is to get a quality dog. Petra and Sonja,we live very close to each other in a small village outside Lund. Both of us have big gardens where the dogs can play and have fun. It is close to the forest where we take walks and the dogs can run free. Our dogs are part of the family and they take part in everything we do.Some dogs prefer to live with Petra and some prefer to live with Sonja and they can choose where they want to live. 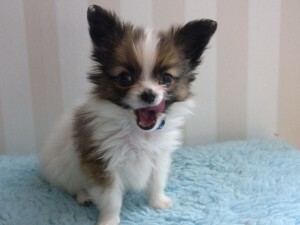 There is a saying that a Papillon has a huge soul and spirit in a small body and we believe this is true. Papillons are intelligent and smart. They are creative and like to learn things. 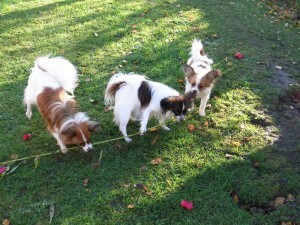 They are very social and friendly .Once you have met a Papillon you are hooked !! !